Make a statement in this one of a kind Mary's dress style MQ2050. This show stopping dress features a high halter neckline with netting, as well as, a fitted bodice that is embellished with beautiful embroidery and bead work. A lace up closure leads into a dramatic skirt with contrasting embroidery. 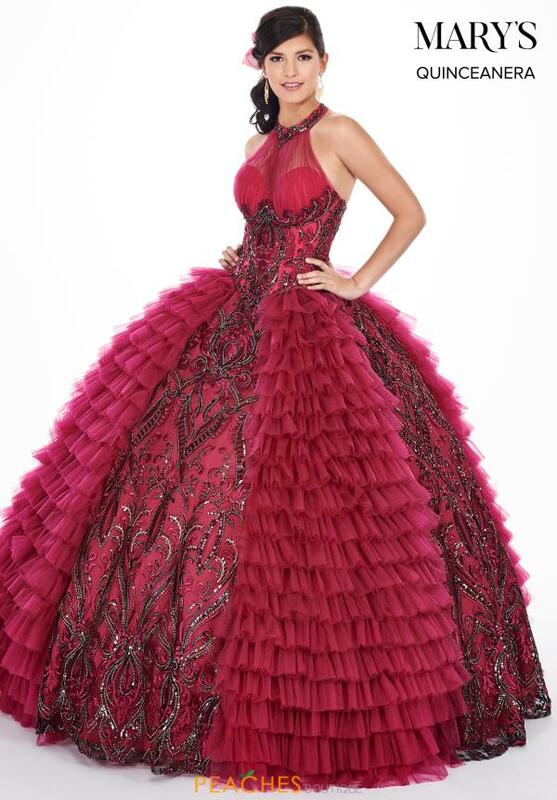 This jaw dropping dress showcases ruffled tulle throughout the skirt, along with the embroidery. Shop more unique dresses at Peaches Boutique.